We have so much fun here at MegaKings. We get to try all the very latest online casino games and review them. This allows us to help you find the best games to play and assists you in getting more for your money. The casino games that we particularly like are the online slots. We like these because they are so easy to play and can be so much fun. There are so many types of online slots ranging from single payline 3 reel slots up to the massive bonus game multipayline video slots that are no so popular. 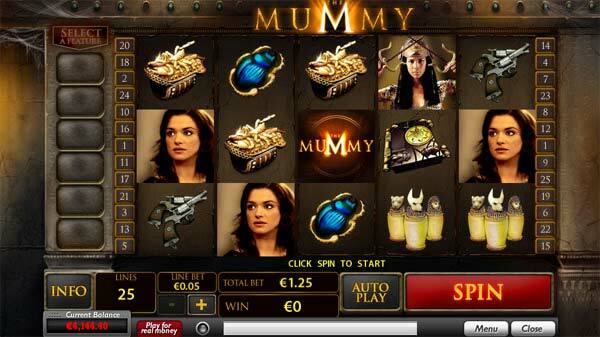 The Mummy is a new game from Playtech that takes the world of video slot gaming to a new dimension. This game is packed with so many bonus features that the win combinations and payout can be so great. The video graphic animation and sounds are great. There are film and audio clips taken straight from the film that make this a game that is interesting to play. The game play is smart and sweet, very quick and responsive. The game is easy to play and you have many button features, there are 5 active reels giving 25 paylines. The first time you play the game you will randomly win entry to the Lost City Adventure Bonus. In this bonus game you can win bonus features that then become selectable during the main game. 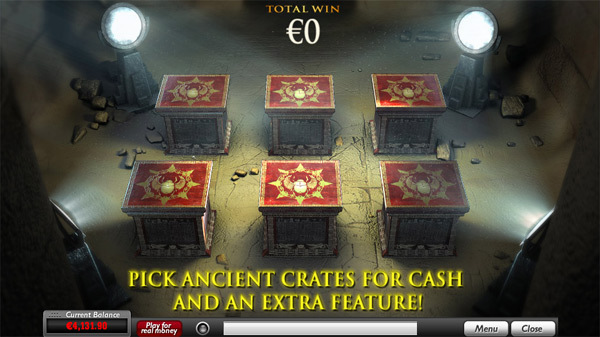 Enter the bonus and choose your prizes by picking the ancient crates. Each crate either contains cash or a collect. When you get a collect you win the accumulated cash and then you also gain a special bonus feature to use on your spins. There are bonus features to collect. 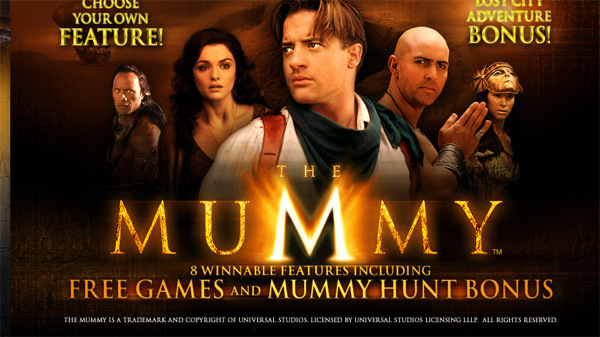 The bonus features are SCORPION SCATTER, SCARAB ATTACK, EXPANDING MUMMY, MUMMY RESPIN, COLLAPSING REELS, MUMMY POWER, BONUS and FREE GAMES. Collect all bonus features then choose which one you want to use on each spin. You can change them on each spin to maximise your winnings.